Essex have a new bowl at Brentwood now courtesy of the good fellas at Wheelscape. The new build is located on the site of the old skatepark in st George’s Playing Fields CM14 5AE, and is open to the public. This is the first phase which will also see a street section built at some point. 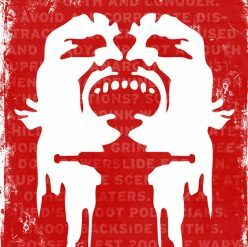 Visit brentwoodskatepark.org.uk for all local info. 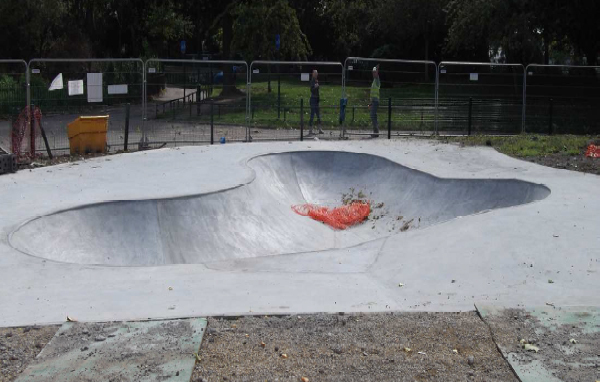 A brand new fun-sized bowl has been built in Bishops Park in West London. The bowl looks small, whippy and could well be fun to skate but we have no idea who built it as we write this. Allegedly, the bowl has been sat there since November doing nothing but word is that it will be open to skate this Spring when the rest of the park that has been restored this winter is re-open to the public. Bishops Park is situated in Putney/Fulham borders on the north side of Putney Bridge, just off the Fulham Palace Rd. Horror film lovers may remember that All Saints Church near to this park featured in the first ‘Omen’ film. Get in’spire’ed. Comment on this design/location/transition below.